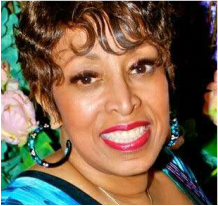 ​Vocalist Audrey Northington: Currently appearing at the world renowned Baker’s Keyboard Lounge in Detroit. Recorded with Jazz drummer Lenny White (Walk On By). She performed with Allen Barnes of the Black Byrds for 3 years at Baker's. She also performs with the Grammy nominated group Straight Ahead, Bill Meyer & Charles Green. She has opened concerts for Rachelle Ferrell and The Temptations. Audrey is often referred as the female version of Al Jarreau, or Little Ella Fitzgerald with her Sassy approach to the BLUES, she is also active with CHURCH & THEATER. Ms. Northington is a graduate of TSU (Tennessee State University) now retired, she taught vocals & music in Detroit & Highland Park Public School Systems.